Is jazz still a man's world? 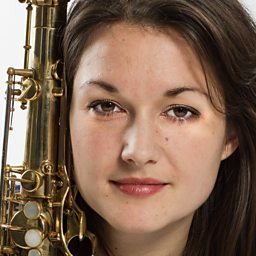 Trish Clowes is a saxophonist and composer based in London. Her new album for Basho Records - ‘And in the night-time she is there’ - has been described as “Powerful, lyrical and with a sound-world that ranges from the austere to the ecstatic” and “has some old magic about it”. 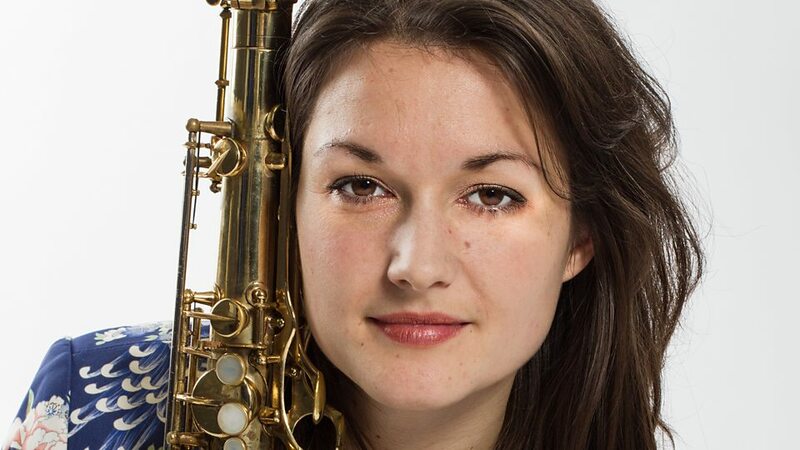 It features her quartet with Chris Montague (gtr), Calum Gourlay (bs) and James Maddren (dr), pianist Gwilym Simcock, vocalist Kathleen Willison and an improvising string quartet led by Thomas Gould. Tangent (qrt) will be touring the new music in the Autumn of 2012 as well as a few special performances with Simcock and the strings. The launch will be held at Kings Place with other dates lined up at the Royal Welsh College of Music and Drama and The Sage Gateshead. This tour is supported by Jazz Services Ltd and Arts Council England. Trish released her debut album ‘Tangent’ for Basho Records in November 2010, receiving praise for it’s integrity, luminousity and ambition. The album features her sextet of the same name, as well as Simcock and Willison. Two of the tracks also feature an orchestra conducted by Jules Buckley (of the Heritage Orchestra). Following the success of her debut album and 2010 tour, Trish was selected by Jamie Cullum, Gilles Peterson and Jez Nelson to perform on the BBC Introducing stage at Cheltenham Jazz Festival 2011. The performance and a short interview with Trish were broadcast on BBC Radio 3. Tangent – the group - were featured during the Proms Plus Late series at the Royal Albert Hall and supported Regina Carter at the London Jazz Festival 2011. In May 2012 Trish curated her own festival “Emulsion” with funding from the PRS for Music Foundation, featuring ECM artist Iain Ballamy. Four new commissions were premiered alongside existing music from Ballamy, Tangent, Rory Simmons’ Fringe Magnetic and contemporary classical group Ensemble Amorpha (MD Luke Styles, Glyndebourne Young Composer in Residence). Other projects include ‘The Odd Trio’ with cellist Louise McMonagle and drummer Tim Giles, a new trio ‘Redshift’ with bassist Andrea di Biase and drummer Pat Davey, and guesting with Dan Messore’s ‘Indigo Kid’.